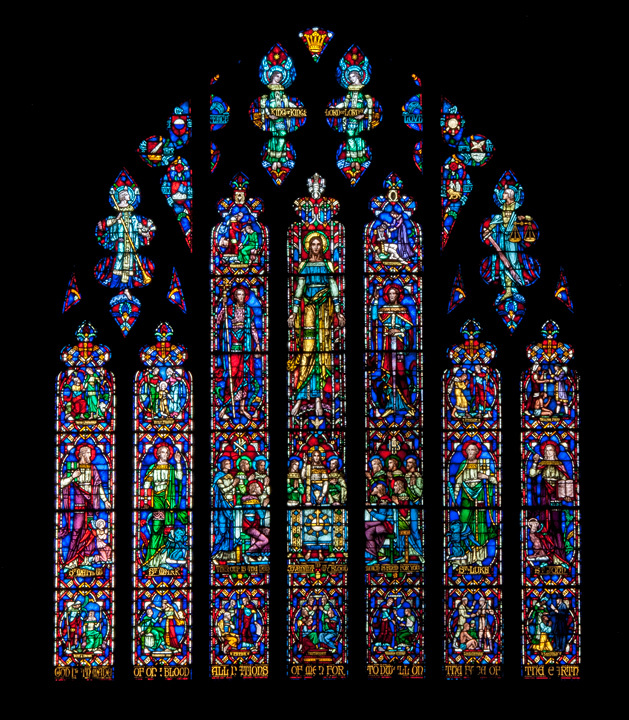 This site was created and is maintained by the Beyer Studio in Philadelphia, Pennsylvania to connect those who have too many stained glass windows with those parties that can provide appropriate, permanent homes for them. Those seeking stained glass windows for projects are welcome to search the collections using the tools provided. We are also happy to assist and advise you in your search, including answering any questions about condition of windows and the potential cost related to preserving and reusing specific windows. Purchases of windows are arranged directly between the buyer and the seller. The Beyer Studio does not charge a "finder's fee" or receive a commission from either party. The owners of the various windows set the terms of who is welcome to purchase and relocate the stained glass windows they own. Please Be sure to note specific rules constraining the purchase of windows from specific collections as listed. Organizations that would like to have their windows listed in this exchange are welcome to contact Beyer Studio for the terms and requirements for listing windows. Note that the best chance of finding interested buyers is to display the windows with the very best quality photography and accurate dimensions. In order to maintain the quality these works of art deserve, the studio reserves the right to refuse any listing. The Beyer Studio may charge a fee for services required to list the windows, such as photography, digital enhancement and web-engineering. Costs related to realizing the listing of specific windows will be quoted on request. For further information about buying or listing windows or for assistance with a search, you are welcome to contact Beyer Studio during business hours Monday through Friday, 8:30 am - 4:30 pm Eastern Time, by phone at 215-848-3502 or via e-mail at mail@beyerstudio.com.